Very impressive as always! Am I imagining or did you actually add the camera shake that some have wished for? Dont normally take much interest in comparison vids, just play the game and be done with it, but with it being nords and the new porsche had to have a look, glad i did, that looks really, really, good, nice FOV helps, looks good. Always as usual a great video Georg . ... but in this video you can see, why RaceRoom needs the laser scanning technology. ... hope all this irregularities will solved in future ... maybe after the implementation of a new graphic engine. It's a FOV thing, nothing else. In the second pic they're not at the same place so the building is at different places. 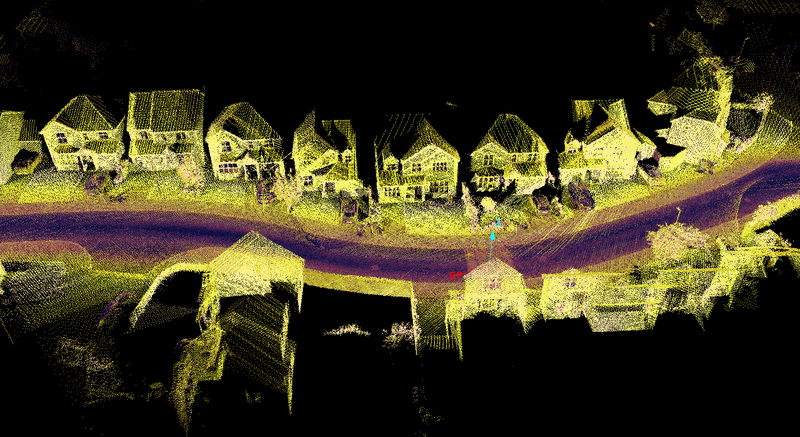 And what has laserscanning to do with buildings at the trackside? If you look closer to the interior of the car, you will notice, that the RL camera position is slightly higher than the one in R3E. This would very well explain the differences. many cars are forgiving in that department but its more obvious in these:92 merc and bmw,gt3 mclarens and audis,shillouete and M1 bmw first come to mind.I don't ask for ice physics,just when u jump on the gas on the exit of corners,u get more oversteer. Maybe because default setups are on the safe side. A very good software to handle a massive amount of scan data is reality capture. The raw data from a scanner is much higher of what a 3d software like Maya or 3ds Max can handle not to mention a game engine. You have to simplify the data by remodeling the converted mesh until the game engine can handle it. That's laser scanning it's a long and very intrecated process especially for a racetrack like the Nordschleife. It's a massive amount of data that needs to be handled. It has been a tradition in sim racing to make a default car under-steer. I very old sims they increase the front springs. The same is true for Gran Turismo 5 and 6 on the consoles. The newest releases from RRE they have neutered the cars in more subtle ways, as we are all using wheels and never game pads. During the last two releases, The talk and drive youtube videos between the top Sector 3 physics engineer and RD Staff bloggers have had the question of under-steer come up and there were hints in the answers. Those are the main things I listen for in the talk and drive promotions now. Jan Seyffarth a Mercedes AMG factory driver explained in one of his latest videos why the Nordschleife in RaceRoom is in his opinion almost the most accurate representation in the virtual world. Unfortunately it's only in German. No, but yes, in answer to the previous post, i knew but was a suggestive answer. The tower is gone ... ... and yes, the real car is too far on the right side, nevertheless the tower is in wrong position and you can find some more track mistakes if you have eagle eyes ... I am sure, Alex and his team know what I mean. Accuracy cost time and money, we know ... If R3E have laser scanned tracks, I would prepared to pay 8 - 10 € for each release of a track. Why laser scanning??? With the 3D laser scanning technique you are able to create a high detailed virtual copy of a racetrack, because you don’t only scan the track surface, but also the complete track environment like trees, walls, buildings, … in their dimensions and positioning. The scanned data are saved into a data mesh, called: "point cloud".